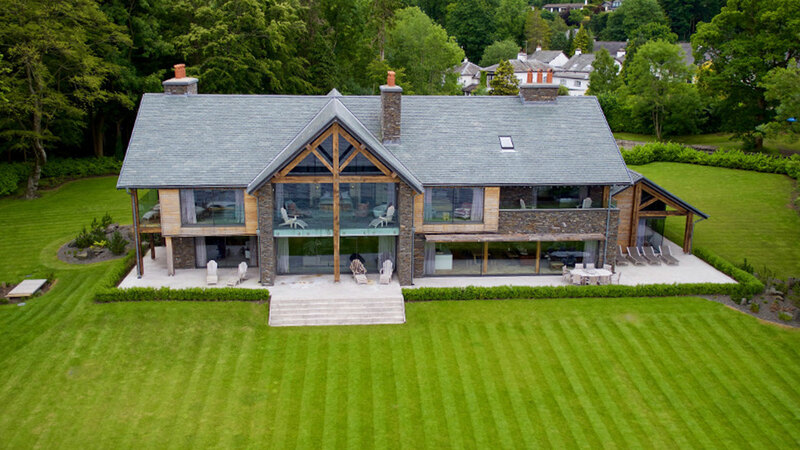 Grey Gables is an award winning 5 bedroom lakeside house located directly on the shore of Lake Windermere with uninterrupted views across the lake. 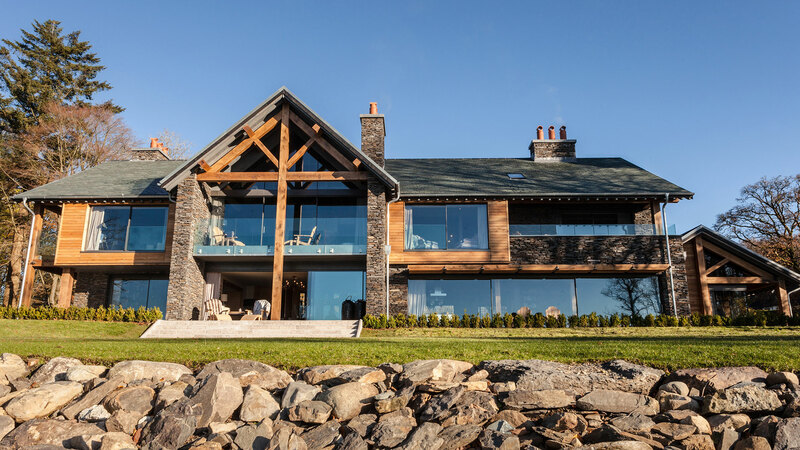 The Client’s brief was to develop a ‘lodge’ type property maximising views over Windermere and capable of accommodating holidaying groups. The property is primarily a single residence but also needed the potential as a holiday rental providing a touch of quality. A simple and legible roofscape using local green slate is complimented by Lakeland stone walling, oak detailing in the exposed timber trusses and oak wall cladding. Verge trims, gutters and downpipes are in zinc to maintain the use of natural finishes. 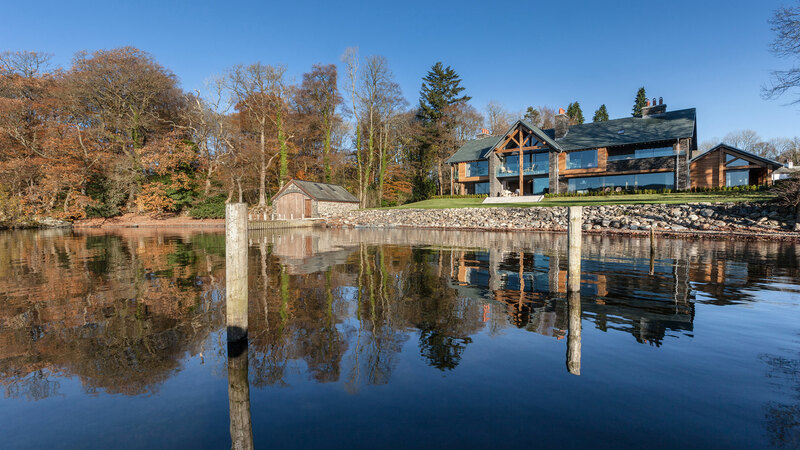 Large glazed openings, particularly on the ground floor, enable views through from the main entrance elevation to Lake Windermere. 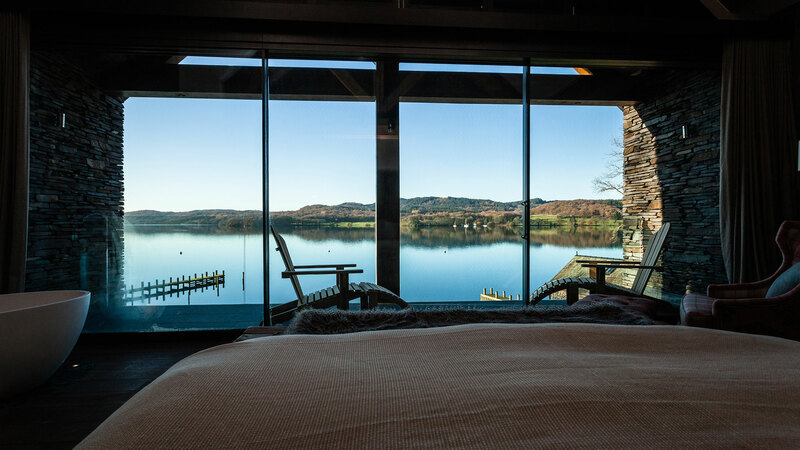 With such a magnificent setting each bedroom opens up with glazed sliding doors onto a ‘covered’ balcony area, this being particularly important due to the weather in the Lake District. A large 10.5m wall of glazing to the kitchen/dining area slides open to the lakeside creating a strong connection to the landscape. Above the opening is an oak detailed ‘brise soleil’ for the odd day of sunshine. 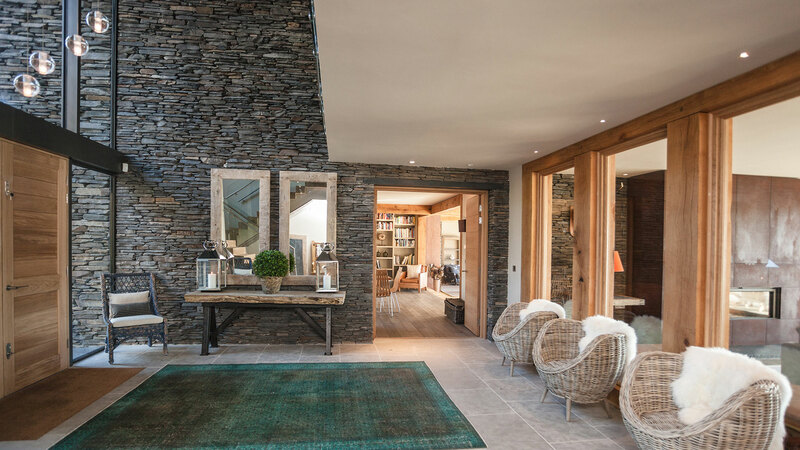 The interiors have a palette of natural Lakeland stone, oak boarding and warm colour. 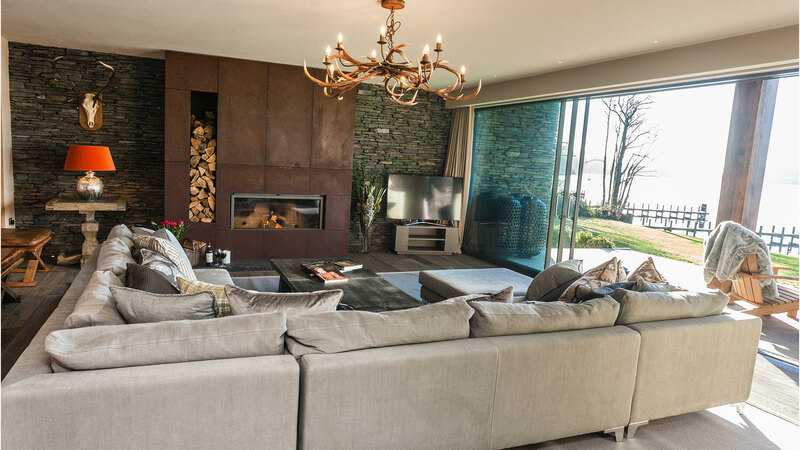 Generous floor to ceiling heights and roof shape on the upper floor provide appropriate scale to the large rooms yet the composition and use of the ‘section’ within the building provides an intimacy one would expect of a traditional lodge. Find out more about us Let's Work Together!